I said for this round I’d be doing a racecar, and what better than the most bonkers version of the 917: the 917/30 Can-Am. 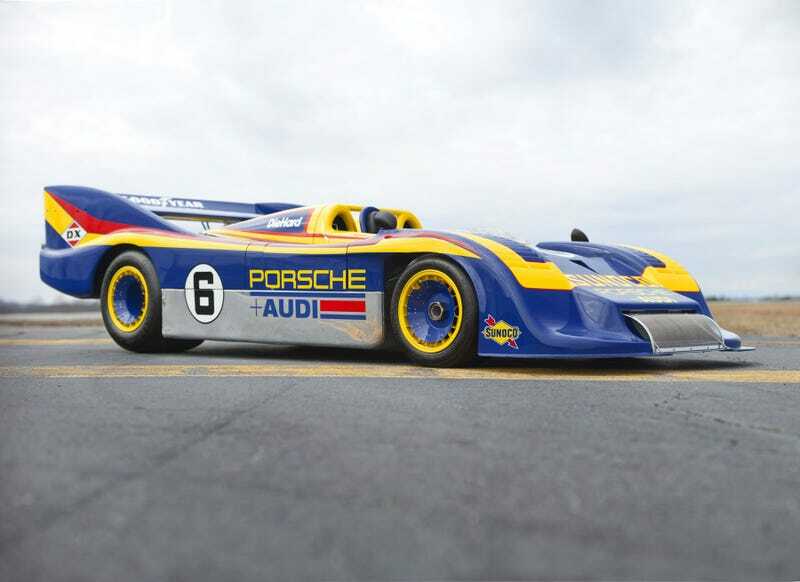 Did you know that the engine in this epic racecar isn’t actually a boxer motor? When every connecting rod has it’s own crankshaft neck, the pistons on the left and right side of the engine “box” with each other. As such, it’s more appropriate to call this engine a “180-degree V”. Whatever the case, this engine had so much power, no one really knew how much. It was somewhere between 1100-1600hp depending on the amount of boost. And Mark Donahue called it “the only car I’ve ever driven that can spin the tires at 200mph”. This was very short. The next will be a bit longer.